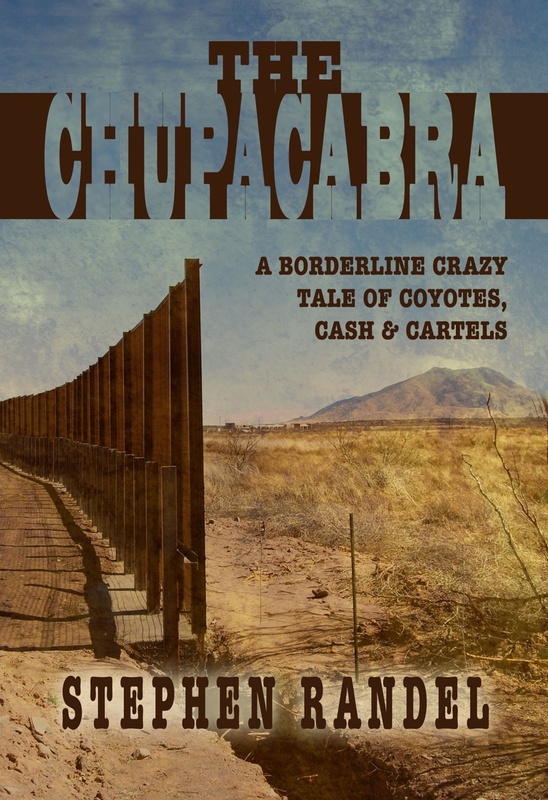 The Chupacabra: A Borderline Crazy Tale of Coyotes, Cash & Cartels by Stephen Randel is a dark comedy about two very different men whose paths wind up crossing over the most peculiar of things – a “chupacabra” corpse. This is Randel’s debut novel. The Chupacabra had a rocky start for me. 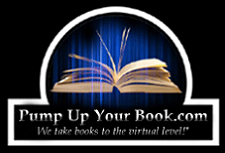 The overly long sentences had my brain pausing for a breath – even though I wasn’t reading out loud – and the scene changes were a little hard to keep up with at first. I was a bit overwhelmed by how quickly so many different characters were introduced, and how much back story came with each of them. There were several scenes that weren’t really necessary to drive the story forward. For a while I was scratching my head, hoping to understand what one thing had to do with the other, and to be honest it wasn’t until well into the part two that the pieces started to fit together. It’s definitely a wild (and sometimes confusing) ride through this book. Randel’s strong points are in his vivid description and the fluent way that dialogue flows between characters. The characters interaction feels natural – which is an accomplishment considering how crazy most of them are. Many of the characters are unique with thriving personalities that don’t fall flat on the page, but there were a few scenes that took away from the book because they didn’t contribute to it. While it may have been humorous, witty, or given some background for a character, it was more decorative, having nothing to do with the actual plot line. The filler scenes were entertaining, especially Avery’s obnoxious and outlandish letters as well as Pearl’s antics, but so many of the characters in this book had little to do with the climax at the end. The blurb on the back of the book drew me in with the descriptions of El Barquero and Avery, but it’s hard to realize that they are the two main protagonists within the story as so much else going on. In my opinion Randel displayed too many characters – which with as fleshed out as they were they could have their own story. Taking away some of the excess and clutter would help to enhance the story. The author tried to take several different stories and intertwine them together. 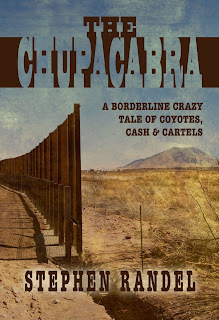 As it is, while Randel has shown he can tell a comedic story, The Cupacabra falls a few threads short of a flawless weave. That being said, I give Cupacabra three stars. One for unique characterization, two for Avery’s hysterical letter writing capabilities, and a three because if you can get past the unwarranted, excess scenes, the story itself is well written and highly intriguing. 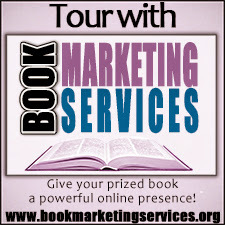 For more information on Stephen Randel you can visit his website, stephenrandel.com.